Videos look lucrative with when you combine attractive fonts, colors and textures to the elements. When it comes to texts in videos, neon texts are taking the market by storm. If you plan to have a video or activity page adorned with neon texts but don’t know what to do, we are right here to help you through. 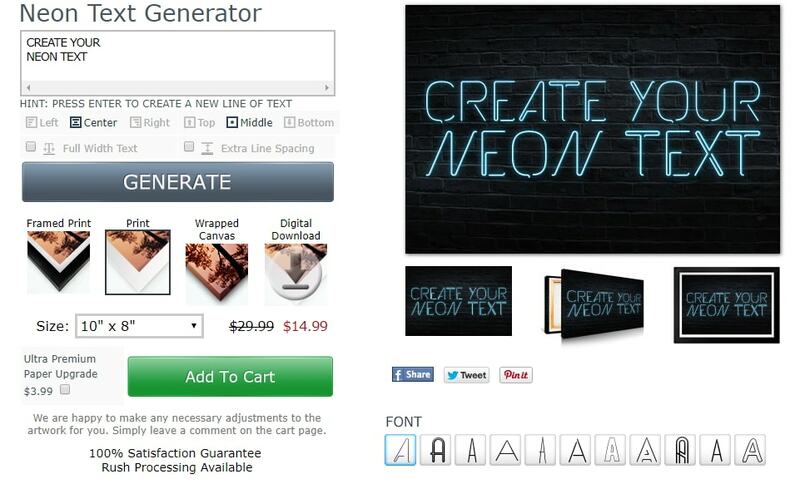 In this article, we are introducing you to a number of neon text generators. Stay tuned to color up your world with neon hues! Neon text generator is useful to make beautiful neon text effect. FilmoraPro is a neon text generator that you should have a try. It has build-in neon glow effect to make various effects. Just need to drag and drop to timeline, and then adjust settings to make it vivid. Intensity, radius, color and other settings are available to use. In other words, even the slightest effect change can be made. Just download it now to have a try (Free)! 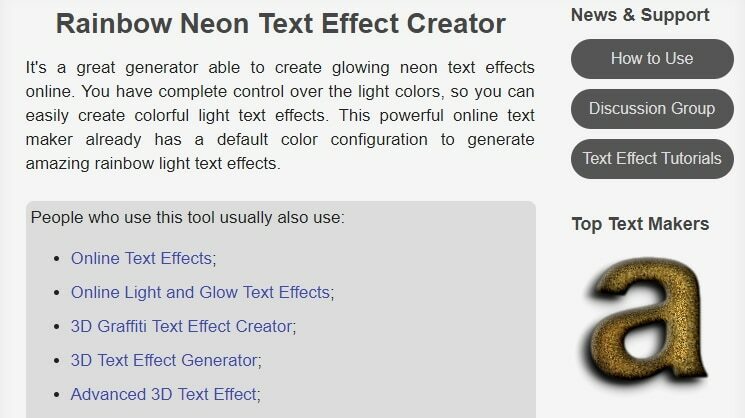 In this part of the article, we are going to explain about 8 effective neon text generators that you can use for your videos and activity pages. Flaming text is a popular neon sign maker online. You can get a wide range of options here for customizing the text. Apart from adding neon effects, you can even alter the background, shadow etc. The page contains Ads. 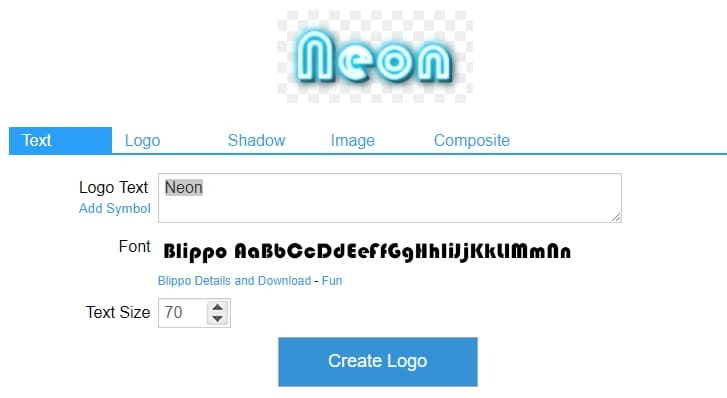 It has a 4 step process to create neon text. 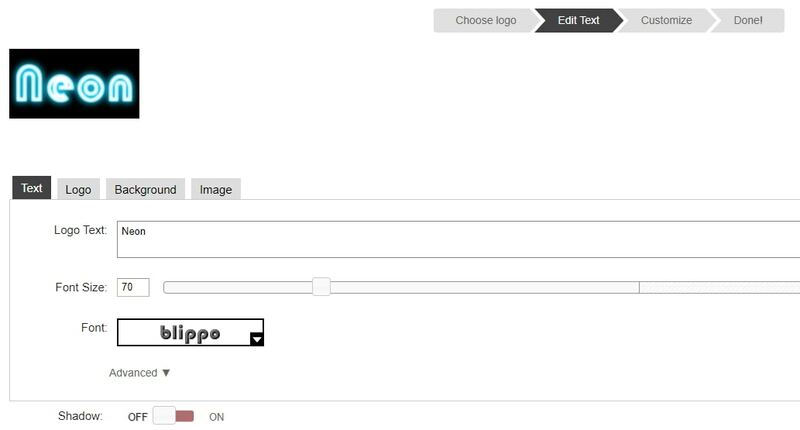 You get different logos and fonts on this page to decorate your text. You can even add an image to the text using this neon text generator. Though, Cool Text is a nice online neon text generator, the excessive Ads make it difficult to track the desired tools on the page. You can add logo, text, image and shadow to create neon texts for your video. You can create composite logos here. You can customize the shadow, text and logos as you desire. You can download, edit, get HTML or email the created logo to someone right from the site. PosterGen has a wide range of products apart from neon texts. You can create chalkboard posters, photography prints, canvas art, gym posters, quote posters, quote generator, graffiti creator etc. It is a paid neon text generator and hence you need to pay for the created art work to be yours. The generated neon text can be printed and shipped to you. A good amount of options like stroke color, shadow color etc. are available. The site doesn’t contain any Ads. Using this site, you can not only create neon texts for videos, but also for social media posts and comments. 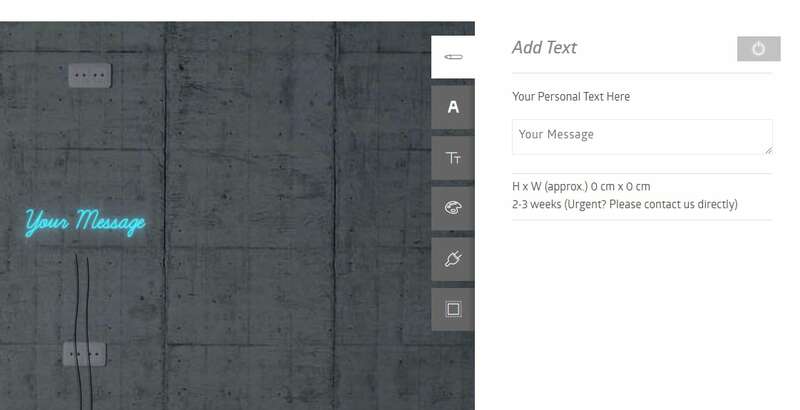 Moreover, school projects, blog headings, forum signatures, YouTube thumbnails, posters can also be done using Glowtxt. By using the ‘Make Comment’ button you can create a graphic fit for a social media post. You can pick various text styles to create the neon text by picking the style and tapping ‘Make text’. The free font styles help you create awesome graphic art. This site contains menus, texts, buttons, banners, clocks that you can customize from the available options there. On the ‘Home’ page, you can see what other people are up to. You need flash to view the page contents properly. This online platform helps you to quickly and easily create glow text. Using this neon text generator, you can even create beautiful banners with the default templates for text, banners etc. Attractive button templates are there to feature your neon text. This neon text generator can produce glow neon text effects online. You can control the light colors fully. For proper outputs, you must wait till the page loads completely. You can create awesome rainbow light effects using the default color configuration. When you use transparent PNG files, choosing a dark background would help you properly see the lights. Creating colorful light text effects with this page is a cake walk. For transparent PNGs, the background colors take a backseat. Though, this site comes with a neat interface, it takes time to load. It might annoy people who are new to the page. The effects are very lucrative to the eyes. The site is a paid one and you need to get the edited text shipped to you in printed format. The site interface is easy to use. You can pick the text styles, font styles, colors etc. very easily. This glow text maker page can produce GIFs with neon texts. They look really cool, if you want to include them on a blog or social media post. You can save the output as a GIF and enjoy. You can change the text color, background, back light and so on. You can even add the background picture’s link to include it in the GIF. Image height, width and shadow width or height can be customized as you desire. From the above article, we got great information regarding neon sign maker online. You can try them out to see what more they have in store for you. These glow texts are a great way to express your creative streak and get noticed online. These neon text generators are amongst the most considerable options and you can use them as per your requirement. They vary in their features and you need to keep a close eye to pick the best one among them.